On this 2000 hectares of land, modern technology and a diversity of farming is to be seen with cattle, sheep, springbok and mainly alfalfa fields. Take a self guided stroll to explore the De Zeekoe Farm and animals. Take a look at all the newest equipment and tractors of the John Deere Range. 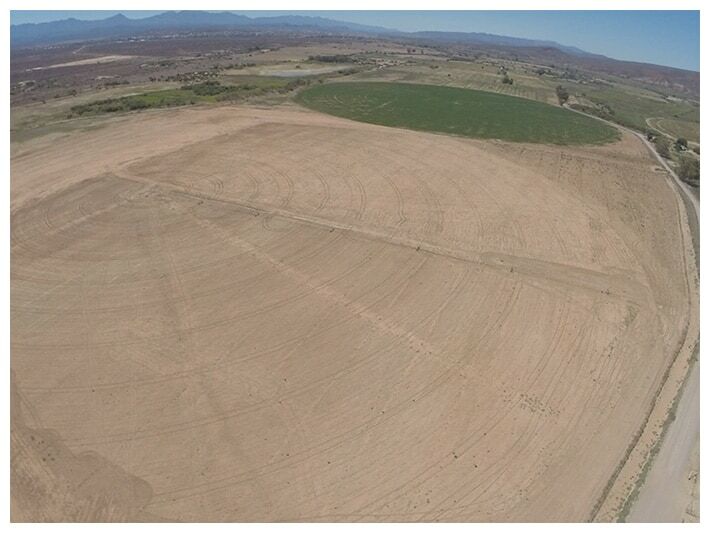 Irrigation is done by central pivot points, with water from 2 irrigation dams and 2 rivers. The factory on the farm produces pellets from maize, soya and alfalfa. The farm’s hay bales and seeds are distributed throughout the country.